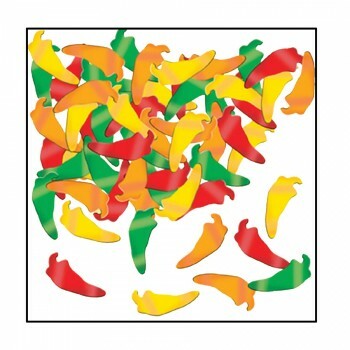 The large confetti pieces shaped like chili peppers are the perfect touch for your Cinco de Mayo party or any event that needs a little spice. Pieces are red, yellow and green. Metallic. 1 oz. weight.